Secures to trees in seconds with a rachet strap providing rock-solid attachment while eliminating screw-in damage. 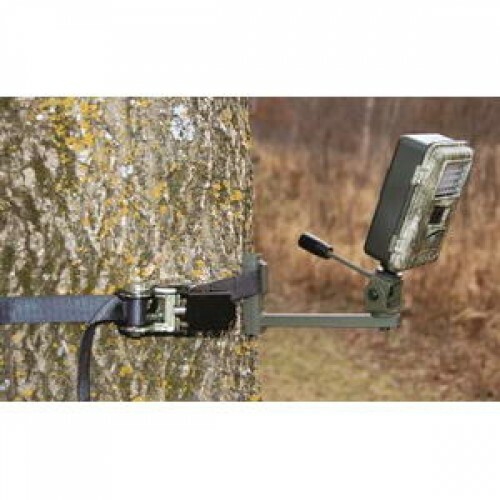 It accepts any trail camera with a 1/4" x 20 thread insert and delivers 120° of tilt and 360° of rotation. Locking knob holds desired position.